To compliment your outdoor area. So you can book any time with no deposit. Bernie’s Gardening Services provide local Guernsey gardening services to the people of the island. 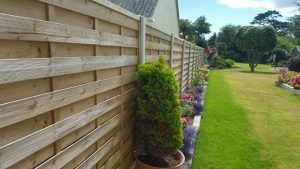 As a skilled garden designer, Bernie established his family run business in 2005 and he and his growing team offer a comprehensive landscape gardening service which includes garden design, patios, landscaping, tree and timber services, quality fencing, garden maintenance and greenhouse demolition. The team’s attention to detail ensures their customers could not be happier with their finished garden. 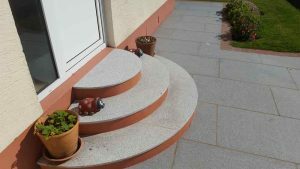 The business brings together over 90 years combined experience of gardens and stone masonry. 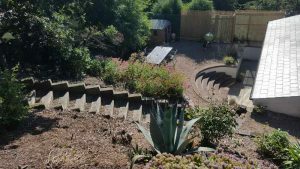 As well as offering garden landscaping and general garden maintenance services, the team also undertake commercial contracts and general maintenance of public areas. The Bernie’s Gardening Services team consistently pride themselves on providing a bespoke, quality and value for money service that delights their customers and keeps them coming back time and time again! 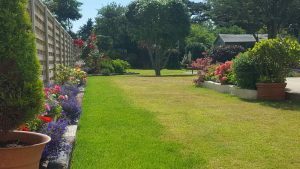 Take a look at what some of their happy customers have had to say about the team and of the garden services they have provided for them on the testimonials page. 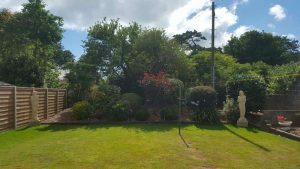 No area is too small or too large for the gardening and landscaping services the Bernie’s Gardening Services team offer in Guernsey – contact our team today for a free, no obligation quote to transform your outdoor space! Keep up to date on the latest news and events from the Guernsey gardeners on our blog page.